NEW and IMPROVED BALL HEAD! 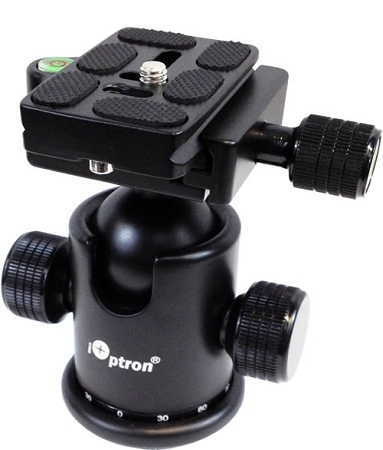 The iOptron high performance ball head is designed for smooth precision movement. It can be independently controlled for pan and tilt movement. The base has a wide diameter of 2 inches for 360 degree precision pan measurement. The quick release plate system is universal, compatible to all major brands. Redundant plate lock and safety lock provides secure mounting of your camera.